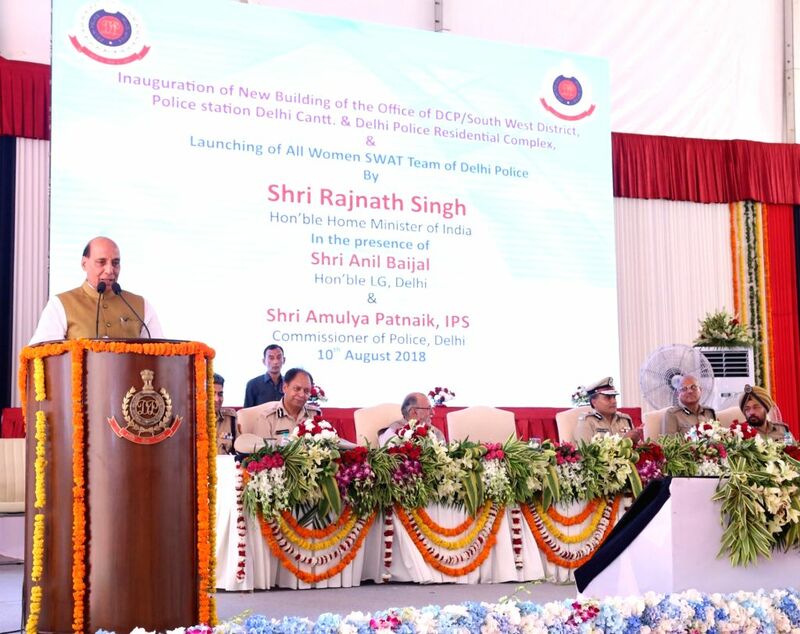 New Delhi: Union Home Minister Rajnath Singh addresses at the foundation stone laying ceremoy of the DCP South- West district, Police station Delhi Cantt. Office building and Delhi Police Residential complex, in New Delhi, on August 10, 2018. Also seen Delhi Governor Anil Baijal. 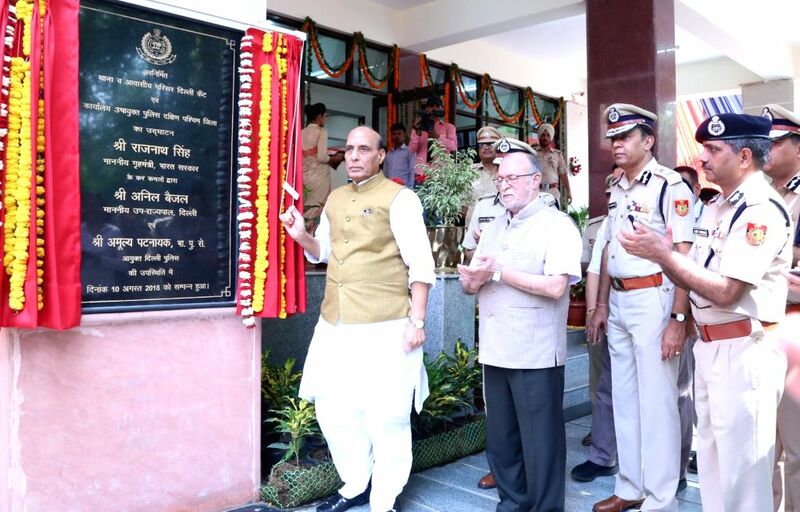 Union Home Minister Rajnath Singh unveils the plaque to lay foundation stone of the DCP South- West district, Police station Delhi Cantt.